The Spanish state is more brutal in its use of force to maintain the status quo, its corruption is more blatant. But below the facade, also Britain applies power undemocratically. The corruption is more subtle, even if it is more endemic. Brits live in a state of polite corruption. Let’s start with the obvious: the totalitarianism of the Spanish state. Prime Minister Mariano Rajoy will soon apply Article 155, imposing direct rule on Catalonia. This follows Monday’s imprisoning without trial of Jordi Sànchez and Jordi Cuixart, both on sedition charges for organising peaceful protests before the referendum, on 20-21 September. Spain clearly violated human rights during the referendum, beating up any potential voter, even the elderly, firing tear gas and rubber bullets. 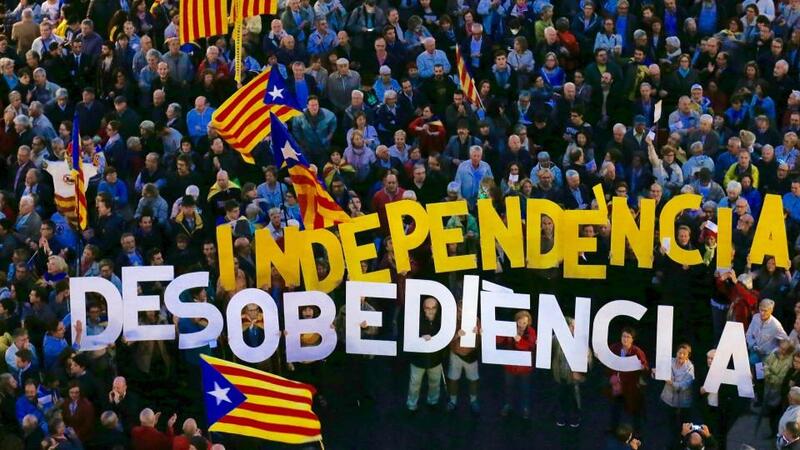 It has relied on a legal argument that the independence movement breaks the 1978 Constitution, a document that marked Spain’s shift from Franco dictatorship to ‘democracy’. Current events relate clearly to recent Spanish history. Rajoy started his political career in Alianza Popular, rebranded Partido Popular in 1989. AP was founded in 1978 by none other than Manuel Fraga who under General Franco held posts including Minister of the Interior and Ambassador to Britain, until the dictators death. Fraga was one of the seven “Fathers” of the 1978 Constitution, even though he had previously ordered the execution of political prisoners. Is Spain now as bad as General Franco’s day? No. Not yet, at least. But it is still ran by the same families, dubbed “La Casta”, a self-entitled political caste. This corruption is ever clearer from the scandals connected to high-level PP politicians, establishment figures and the monarchy (who Franco himself choose as his successor). Around 1000 members of La Casta were jailed between mid-2015 and the end of 2016. One stand out case involved Rodrigo Rato, a banker-politician once tipped as a future Prime Minister, who was managing director of the IMF and chaired the large Spanish bank Bankia. He now faces jail on charges of embezzlement and a nefarious credit card scheme to buy political favours, so do many co-conspirators. This contrasts with Britain, in scale and subtlety. London presents itself home of modern democracy, whilst being global capital for arms, banking, mining and other corrupt and anti-democratic ventures. It is still rated as one of the top 10 least corrupt countries in the world by Transparency International. Although it is worth noting that Transparency International is funded by the British government. No wonder endemic scandals around electoral fraud, London centred banking fraud, how London is hub to half the world’s tax evasion and other examples from a long list are neglected. The BBC is globally revered for its impartial news broadcasting. Yet we only need to think back to Scotland’s 2014 referendum to find more holes that substance in that argument. Problems can be found in who run the BBC: for instance a former HSBC banker connected to Mexican drug cartels and money laundering for terrorists, Rona Fairhead, headed the BBC Trust until recently. Compared to Spain, British corruption is polite, if a bit stale, shown during indyref. It is the power to not even bother writing a constitution. The power to create fear without violence, using the establishment media and discourse. In 2014, this power was served to you by M&C Saatchi: telling you to stop thinking about politics and eat your cereal. This subtle corruption is 1000 years old, but ultimately the Conservative Party are appealing to a neo-imperial base – pushing similar right-wing values as Rajoy. Both Rajoy and Cameron have inadvertently galvanised each independence movement, along with their own countries corruption and austerity policies. Cameron’s ‘Send troops in to beat up elderly voters’ moment was calling for an all out decision, Yes or No. He thought he could use Britain’s polite power to win, and he won the referendum but lost control of the narrative. The clear choice created the space to imagine another Scotland. Whereas Rajoy united the social movements of Catalonia with increasing repression. In late 2015, I spent a month in Barcelona researching social movements. Fighting back against the status quo I found four distinct political strategies. Networks, local organisations and social centres were making real differences on the streets. The PAH was stopping evictions. Hackers 15MpaRato were (and still are) on course to send banker-politician Rodrigo Rato and many co-conspirators to jail. One level up, on the municipal level, people had taken back cities like Barcelona, these organisations a confluence of networks. Born from municipalism and still connected to the streets was the anti-capitalist radical independence party CUP that held the balance of power in Catalonia’s parliament. The most visible surface layer from the outside was Podemos. This Spain-wide party had sprouted from the ground below it, although it was superficial, without substance or depth. What Rajoy has done is create a place where these three base elements combine; independence and democracy became intersections for far more people. The attacks on the offices of the Catalan government and the offices of the CUP on 20 September was a seminal moment. Afterwards, every night at 10pm “la cassolada” – pots and pans banged by cutlery – rang out. Rajoy failed by making his opponents all beat the same rhythm. The melting together of once distinctive strategies for social revolution caused the eruption of support on referendum day. Another similarity between post-indyref and what is happening now to Spain is the porous relationship beyond forming nation. In part, the rest of the UK and Spain could and are changing for the better. Without indyref, would the rUK have Corbyn? Questionable. He came to the fore after the SNP showed that way to challenge the Tories was stop being Tory-lite. Look to Spain, and already there is a resurgence in the 15M protest network where millions occupied squares in 2011. Thousands are back out in the plazas wearing white under the slogan Lets Talk (#ParlemHablamos) from Madrid to Valencia. Across social media the idea of dialogue has become a viral meme. Spurred by its violence, Catalonia’s indyref has broken a taboo in Spanish politics. Spaniards are doing what was previously unthinkable: questioning the 1978 Constitution, the fragile document that post-Franco Spain is built on. Something that was as untouchable as challenging neo-liberalism within the two-party British system until recently. Clearly independence movements have not been all good for the rUK. Nor for Spain. Fascist overtones on Madrid’s streets are too obvious. Nazi salutes and Franco flags are present in the pro-unity rallies across Spain. A comparable shift can be seen in Britain, again more subtly. May’s Britain is a quiet lurch towards Victorian ideals, namely Brexit and reduced human rights. Not to be rude, but this has fascist overtones. As does the wall May’s government built in Calais to shut out refugees, (long before Donald Trump started trying to replicate the idea), the Go Home vans and the Investigatory Powers Act, more commonly known as Snooper Charter. So what can we learn from Catalonia? One thing is about counter-power. This phrase has become popularised worldwide. But being in Catalonia you can really see it in action. If I take you back to the square in Girona, citizens who had organised into the local defence committee – something that happened all over Catalonia – communicated on Telegram, an encrypted messaging app to evade Spanish state police. Secret messages warned about riot vans’ movements – in Girona riot cops were working in packs of eight vans. It also enabled some ballot boxes to be smuggled into the voting station to close a more vulnerable voting station early. Nationally, autonomous organising made the vote was possible, despite heavy repression. Ballot boxes were smuggled from France, ferried across the border by citizens, hidden in garages and all manner of places. The operation was not organised centrally, just like the voting stations, so Spanish police could not foil the plan in one go. The crackdown against the vote encouraged further autonomous immediate responses, by some groups fighting for the right for people to vote. Two days after the 20 September attacks on Catalonia’s offices of state over 100 lawyers, human rights and global justice organizations, and social movements united under the platform We Are Defenders, or #SomDefensores. They created the means for people to defend themselves against repression and have reported human rights violations to the UN. Part of this included a guide to internet security, written by hackers Xnet – relevant beyond Catalonia translated into English. The speed at which Catalans form platforms – where organisations effectively network together – is also shown by the creation of ‘En peu de pau’ (On a peace footing). This new organisation created this week aims to continue and build on the peaceful protests in response to Spanish violence. Looking back to the referendum, and recent history, it is incredible how Catalans have been able to protest peacefully and hold off attacking state and paramilitary police. At the end of referendum day, I followed locals to a sports stadium on the edge of Girona. This polling station was more vulnerable than Constitution Square. On route, large recycling bins made two lines of barricades to slow any riot vans. After this there was a crowd of a few hundred people, followed by teenagers sat in more lines of large wheelie bins. Then lines of cars made further defences, followed by around another 1000 people. After this, firefighters stood as the final line of peaceful defence. As the sun set on Spain, the people chanted, “El carrer serà sempre nostre.” (The streets are always ours). Often used in Catalan protests, it is a direct reference to when Franco’s Minister of Interior said the streets were his. Working street by street, Catalans are turning the chant into reality. Thank you for a well written highly informative piece. I hear today that there is a potential for escalating violence in Spain…..I hope not …my thoughts go to the children of Catalonia…this is a totally manufactured situation….the EU is not protecting the children of Catalonia…their parents / carers have the right to democratic means of expression…..violence towards their parents/ carers is fundamentally and potentially devastating to their children. Steven it’s a decent piece, man, there are a lot of interesting points there, but I would urge you to not fall into the trap of hyperbole. You know, it’s completely wrong, to talk of the “totalitarianism of the Spanish State”. Spain is not a totalitarian State. There is freedom of expression, freedom of assembly, and all the other fundamental human rights. I live in Spain, I’ve lived here for years. Believe me, it is not totalitarian. If Bavaria tried to secede from Germany, what do you think would happen? If Corsica tried to unilaterally secede from France, what do you think the French State would do? The Catalan situation is just a nightmare, and a completely avoidable nightmare at that. It’s mainly the fault of Rajoy and the Spanish right-wing. Let’s remember, under Pasqual Maragall – the grandson of the Catalan poet Joan Maragall – the former Socialist First Minister of Catalonia, the Catalan Parliament had approved a new Home Rule Bill, which was also approved in the parliament in Madrid under Zapatero and ratified by a referendum in Catalonia. It was Mariano Rajoy Brey who then took the necessary steps for it to be taken before the Constitutional Court where that Home Rule Bill was then taken apart. It was a huge mistake by Rajoy. Boy, does that sound like an easy fix these days…. The problem is Spain is a mystery to most in UK and Scotland. Benidorm, Monty python inquisition sketches, cheap booze and sunburn is the experience of most. Their ignorance of The Transition, unique in European politics, is total. How then do we communicate with the Ignorant? There is not the time to educate them, and I lack the will, pushing water uphill is easier than cutting through 400 years of anti Spain prejudice. Simply, offer the truth, contradict the lies and let time prove us right. The author has penned a fiction worthy of Hemingway, at his drunken best. Where the fiction is more real than the reality. Who has the streets? The dispossessed, the indignant, thrill seekers, the aggressive, the angry, the frustrated. 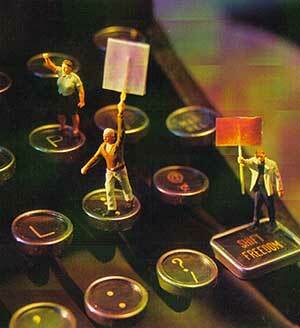 Moving from Jungle drums to telegraph, simply makes civil disobedience more electronically secure, and pointless. Barricades of rubbish bins, human shields behind which politicians hide, and organisers manipulate is a triumph in stupidity, not politics. The road to increased self-determination was wide open to Catalunya, but they have been failed by weak and feckless politicians, just like Brexit in the UK. This is going to be a costly, and painful road for Catalunya, Scotland can use it as a handbook of HOW NOT TO Win independence. on a light-hearted note – In Catalonia the road to increased self-determination has an ingredient unfortunately absent in Scotland they benefit from enjoying a superb climate.